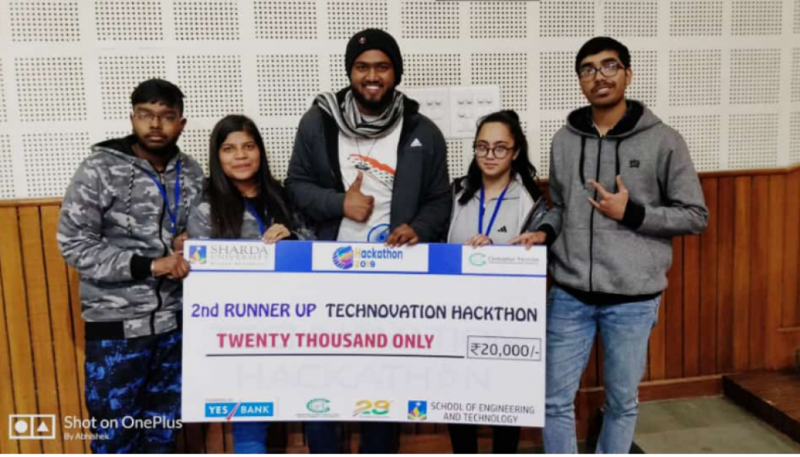 The students of Manav Rachna University; Mukul Singh, Parul Taneja, Ridhi Sethi, Deepak Rana, and Abhishek Pandey (B.Tech CSE 4th Semester), won Second Prize in 24hrs HACKATHON “TECHNOVATION”. 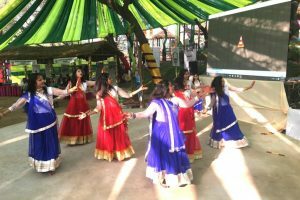 They won under the theme – “Security & Surveillance”, amongst 151 teams across the state. The team presented the solution i.e. P-BAND (Pollution Band), to detect pollution along with security tool kit. P-BAND is a wearable, portable and cost efficient device to detect air quality index with a mobile application connected to server and website to track one’s location. It can also be used as a security tool kit for girls and children. 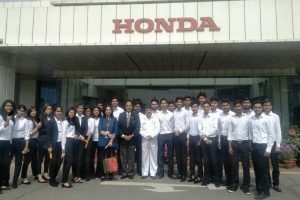 All the team members won INR 20,000 and also got certificate from Greater Noida Industrial Development Authority in association with Sharda University. We congratulate the team for bringing laurels to the university!! !